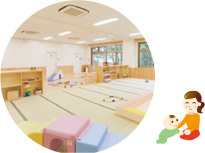 Children can spend a relaxing time playing with picture books and toys in this tatami-covered space. 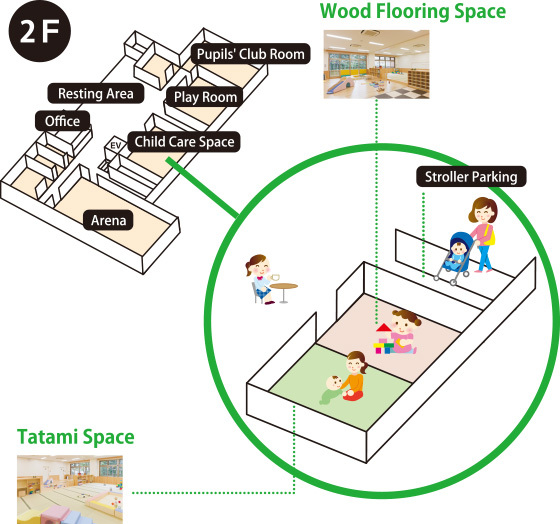 It’s also a place for exchanging information through chatting among parents and using bulletin boards. We sometimes have lectures or consulting given by a dietitian or public health nurse. 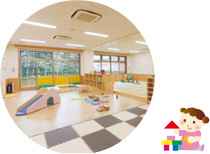 In this place with plenty of sunlight, infants and babies who have just started walking can safely play on a slide or soft mat. You can have lunch here for a limited time. Copyright Public Interest Incorporated Foundation for Child Well-being All Rights Reserved.